Viswanathan Anand’s status as a national hero in India is no coincidence. In a country where cricket dominates as major sport, it is rare to see a sportsman enjoy so much popularity and respect. All media follow every step of Anand and every event he plays in is surrounded by anticipation of good results. This is no coincidence, Viswanathan Anand has been a major factor in the world of chess since the 90′s. He first became FIDE World Champion in the year 2000 in new Delhi and Tehran. Since 2007 he is the owner of the undisputed World Chess Championship crown, having won the tournament of Mexico, Bonn, Sofia, and Moscow. What’s more, he achieved his champion titles in three different formats – match, knock out, and tournament, a unique achievement in history of chess. His tremendously quick mind and his ability to work harder than most of the other players have given him a place in the lineage that begins with Steinitz and includes legends like Capablanca and Fischer. Now he stands in the battle of generations and a coveted win can mean an unreachable status in the game of chess. 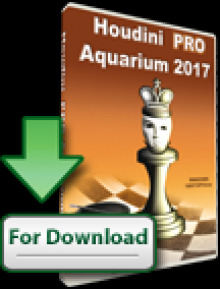 With one week to go before the Indian goes into Chennai to defend his crown, we will take a look at how he obtained his previous victories in the most respected event of the sport – the World Chess Championship. 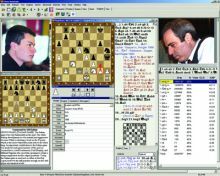 It is difficult to collect all information in one article, therefore, the Chessdom editors supply a good amount of further reads and commented games. It was thirteen years ago, at the FIDE World Chess Championship 2000 , when Anand was called World Chess Champion for the first time. Back then, the chess world was split, so when asked about his title, he had to clarify that he was the FIDE world champion, while Garry Kasparov still claimed to be the Classical world champion. No matter the split, the feat of Anand was highly remarkable given the way he dominated the event from beginning to end. The Indian arrived as the first seed and dispatched his opponents from the first four rounds without the need of tiebreaks. His hardest rival was Russian GM Alexander Khalifman, who set some problems for Anand during the quarterfinals. In the semifinals, the Tiger from Madras took out Michael Adams 1.5 – 0.5. His final match against Alexei Shirov was very one-sided; it was programmed as a battle of six games, but Anand only needed four to achieve the required 3.5 score to win the event. It is interesting to note that The FIDE World Chess Championship 2000 was held in New Delhi, India, and Tehran, Iran. The first six rounds were played in New Delhi between 27 November and 15 December 2000, and the final match in Tehran started on 20 December and ended on 24 December 2000. As a result, we have Anand having lifted at least 1/2 title in his own country, and achievement that he will try to repeat in the World Chess Championship 2013. We arrive to the year 2007, when the world of chess was finally united after the match organized by FIDE President Kirsan Ilyumzhinov. For the 2007 event in Mexico, FIDE decided to declare the new undisputed world chess champion via a double round-robin tournament with eight qualified players. Viswanathan Anand arrived as the rating favorite and did not seem to have any problems to take home the title. His final score was 9/14, leaving second-placed Vladimir Kramnik a whole point behind. Anand was the only undefeated player of the event. The road to success began with a black victory over Levon Aronian in the second round. Round 5 brought the Indian another win: he defeated Peter Svidler with white in a Ruy Lopez – let us not forget that Anand used to open with 1.e4 back then. Another Spanish opening allowed him to take over Alexander Grischuk on round 7, and he finished the job with a victory over Alexander Morozevich on round 11. He maintained his clear lead with solid draws to finish the tournament at the very top of the standings. This was Anand’s clearest win in the battles for the world championship. He showed excellent preparation and took down one of the most respected players in the world with one game to spare. It is important to give due credit to his team of seconds, which included Peter Heine Nielsen, Rustam Kasimdzhanov, Surya Ganguly and Radosław Wojtaszek. Coincidentally, Vishy mentioned after the match that he had received help from Magnus Carlsen. The Indian used a sharp line of the Meran Variation to defeat Kramnik with black in games 3 and 5. Game 6 brought him yet another win thanks to a strong novelty, this time in the Nimzo-Indian (Anand was already using 1.d4 at the time). With the score so favorable for the Indian, Kramnik went on the attack and got a win on game 10. Vishy opened with 1.e4 in the eleventh game and saw Kramnik using the Sicilian after many years; nevertheless, the game finished in a draw. His next rival was Bulgarian GM Veselin Topalov, who has qualified for the match after defeating Gata Kasky in the Challengers. Before the match, Anand went through an adventurous road to reach Sofia due to air travel disruptions caused by the volcanic ash emissions from Eyjafjallajökull. Anand was to fly from Frankfurt to Sofia on 16 April and was stranded because of the eruption, when most of Europe’s airspace was closed. He asked for a three day postponement, which was refused by the organizers on 19 April, and only the good reaction by Georgios Makropoulos at the time prevented a larger scandal (minute by minute development here). 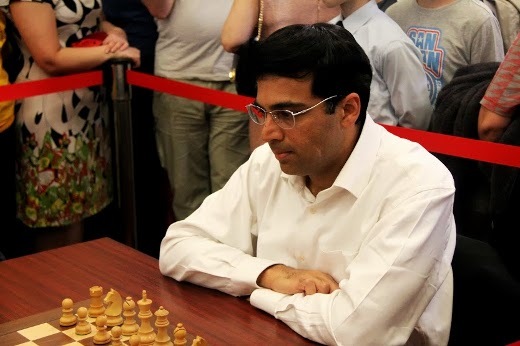 Anand finally reached Sofia on 20 April, after a 40-hour road journey, with the first game was consequently delayed by one day. While Anand used the same team of seconds as in his previous match, Topalov not only used human help but also was able to utilize a state-owned IBM Blue Gene/P supercomputer with 8192 processors, running the latest version of Rybka. The match started with a win for Topalov in a sharp Gruenfeld. Just when things started to look bleak for the Indian, he responded with a quick punch in game 2, where he used the Catalan to tie the score. The same opening gave Anand the advantage on game 4, but Topalov responded with a victory on the eight duel. The players reached the final game with a tied score, and all the press talked about how Anand would have better chances on the rapid tiebreaks. Topalov decided to take some risks in order to avoid the extra innings, but ended up losing against the Indian’s Lasker Defense. This time, the Tiger from Madras had to face a rather surprising opponent, Boris Gelfand. Everyone was surprised about Gelfand participating at the World Chess Championship, but Anand was sure it will not be an easy match, which he explains in an interesting pre-match interview. The clear vision of Anand was proven in the match course solid battles, and also by the FIDE rankings where Anand and Gelfand stood equal just an year later. The veteran from Israel showed his great skills at the Candidates matches in Kazan to challenge his colleague for the crown. Two of the oldest players among the elite played a 12-games match at the State Tretyakov Gallery in Moscow, Russia. The players started with a solid style in a very tense struggle. Gelfand was the one to give the first blow with a white win in the seventh game. 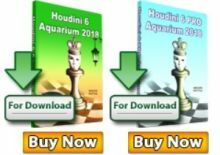 Just like two years ago, Anand reacted quickly and balanced the score with a victory in the eighth game, where Gelfand committed a huge blunder and recorded the quickest loss in world championship history – just 17 moves. The rest of the classical games finished in draws where Gelfand was perceived as slightly better prepared. It was time for the tiebreaks. The first game was a draw in 32 moves. Anand had white in the second round and obtained the decisive victory in what became the trademark opening of the event, the Rossolimo Sicilian. With equal score in the classical games (1 win and 5 draws each) the tournament was decided in a tiebreak. 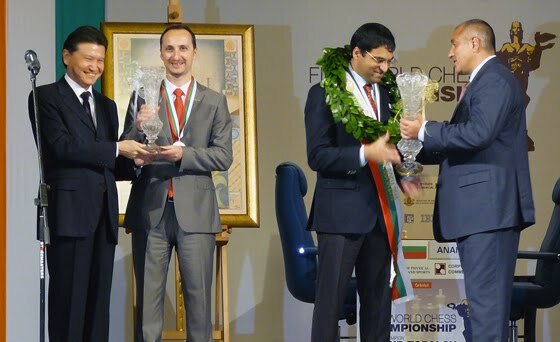 Anand won rapid game 2 which proved enough to retain the title he hold from Mexico 2007, Bonn 2008, and Sofia 2010.